Battlefield 4 is still one of the leading first person shooter titles despite being years old and with other titles coming out frequently. Part of this is down to the fact that it has a huge array of content, tons of game modes, maps/DLC content and over 100 weapons keeps players coming back. 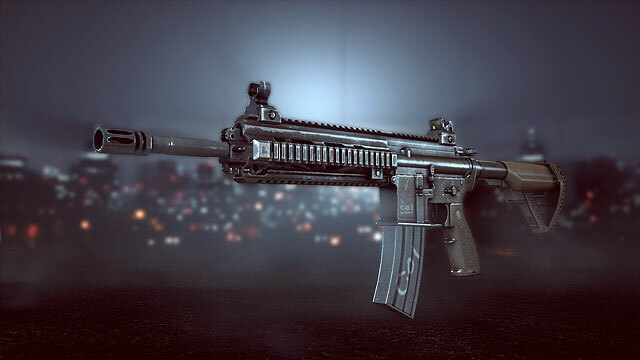 Among these weapons are assault rifles which are the most dependable and versatile weapons in the game. All of them have various strengths and weaknesses but overall there are some that are better than others. Here’s a list of the top 10 best assault rifles in the game! 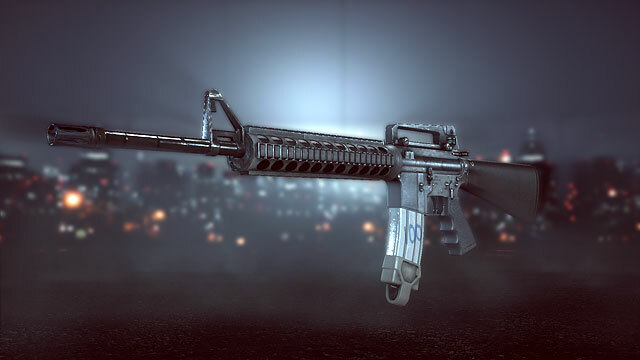 The closest weapon we have to the beloved M16A3 from Battlefield 3. The M16A4 is a versatile weapon with a very short reload that can perform in firefights of all ranges. The downside is the burst fire which really puts a lot of players off, it is also difficult to reach the maximum rate of fire as you need to get the time between bursts perfect. Overall it’s a very good weapon if you can put the time in but it isn’t as good as the others down the list. This weapon was recently added into the game as part of a free DLC. It is a gun that is well adored by Battlefield fans and has been popping up in the franchise for a while. The weapon can fit a lot of playstyles due to its performance. It can be used in automatic fire mode which has a very slow rate of fire at around 700 RPM, this is great for long range encounters. You can switch it to a 2 round burst mode which, if you’re good enough, you can reach up to 900RPM which is among the fastest in the game. Overall it’s a very capable weapon that is well worth using. I’ve only recently discovered this hidden gem and I’ve fallen in love with it. It has become my 3rd highest kills per minute weapon even though I have mastered 19 weapons. It has a very slow rate of fire of 650 but this actually helps if you use it in the right situation. Stick to medium/long range and you can shoot your enemies down quickly as the recoil is basically non-existent. It has very good hip fire accuracy which makes it surprisingly effective at close range if you’re against weapons that don’t have a crazy high rate of fire. I would definitely recommend you try this long-forgotten assault rifle! 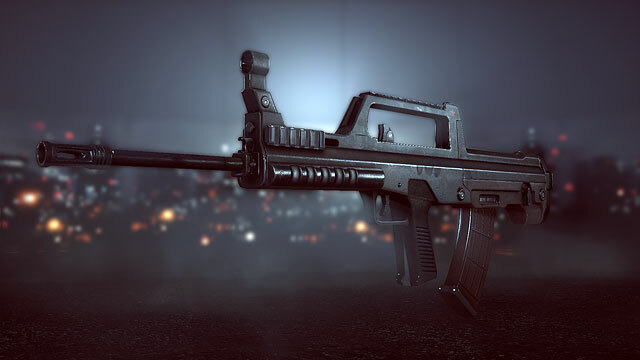 Arguably the craziest looking weapon in the game, the F2000 made a return in the Second Assault DLC and has once again proved its might on the Battlefield. It has a very nice rate of fire of 850 RPM which can rip your opponents to shreds. It also has decent hip fire which helps even more at close range, this gun is very effective at close-medium range. The recoil can be unpredictable which makes it a bit more difficult at long range but you can definitely be effective if you get used to it enough or tone it down with some attachments. 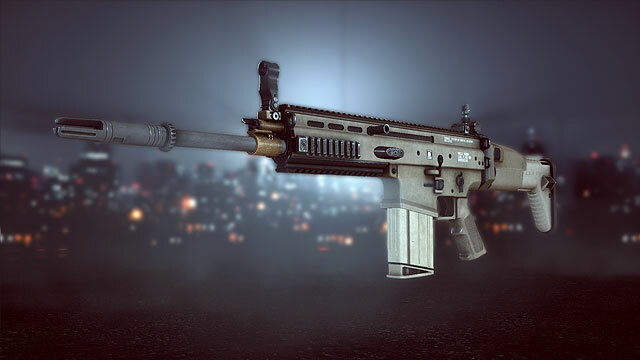 The SCAR weapon series have been excellent guns in the Battlefield games and other FPS titles like Call of Duty too. The defining feature is that it has 20 rounds in its magazine, which you think would make this gun very difficult to use but its actually really powerful. You can easily get multiple kills with one magazine as it has higher damage and accuracy than most other assault rifles, it also has a very low rate of fire at 620 RPM but this just means your recoil is more controllable and more of your shots will be hitting their targets. It can be a bit tricky at first but once you get the hang of it, you’ll love this gun. The AEK is a very powerful weapon that has had its long range effectiveness nerfed recently – and for good reason. This gun dominated the battlefield for a long time until it was made less of an all-round powerhouse and more a close range beast. It has a huge rate of fire of 900 which allows it to go toe-to-toe with PDWs and carbines but it has some medium-long rang effectiveness due it to being an assault rifle. I can comfortably say that this weapon is the best close-range assault rifle in the game! This British weapon is surprisingly obtainable with the China Rising DLC. It’s a very good all-round assault rifle that can be very effective in every situation. It has a very good rate of fire of 750 RPM and good stats overall. In fact the only thing holding it back is the reload time but it isn’t that big of a deal. This gun is so iconic and effective in battle, which is why it reaches the 4th spot in this list. Another DLC weapon but this time it’s available in the Dragon’s Teeth DLC. This gun is a beast, there’s no other way of putting it. It’s like the Incredible Hulk of Battlefield! It has a magazine size of 20 and a rate of fire of 700 RPM. This magazine size can sometimes be a pain but your bullets do so much damage that you can kill a handful of people without having to reload. The reload speed is fairly high and you will be going through it often, which is a downside. But overall it decimates opponents and I don’t think there’s an assault rifle that can kill as quickly over all ranges. The downsides can get you caught out though which is why it reaches #3. This gun is pretty much the middle-man, it performs well in all situations and can never let you down. It has excellent hip-fire accuracy and a very short reload speed which makes it very effective in CQB. It has a rate of fire of 750 RPM which is very good for downing targets at all ranges, it’s a very well balanced weapon. It doesn’t really have any downsides, it’s pretty much the L85A2 with better recoil, much better hip-fire and much faster reload speed! 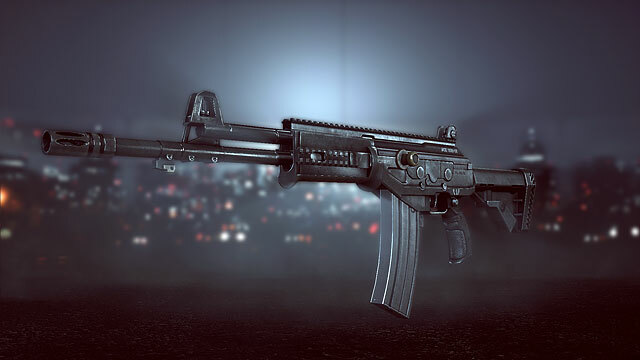 The number 1 spot, the best assault rifle and probably the best weapon in the game goes to the ACE-23. This gun is just so damn effective at everything that it has to have to the top spot. You can use this in litterally any situation besides extreme long ranges and it will out-perform nearly every other weapon. Only weapons with faster fire-rates or shotguns beat it at close range, only guns designed specifically for long range like the SAR-21 and snipers/DMRs can beat it at long range. It’s just a very good weapon to use and it should be you go-to gun if you want to earn as high a score as you can. Don’t get me wrong, the other assault rifles are still very good for this kind of stuff, just not as good as the ACE-23! Next article Why the world is so broken, what are the problems and how can we fix it? Our team of experts brings you trusted reviews, component testing, strange new mods, under-the-radar indie projects and breaking news around-the-clock. 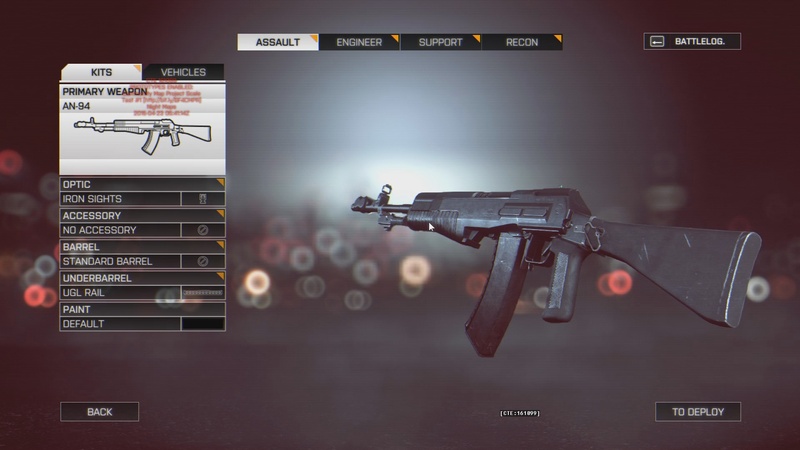 What are the best guns in Battlefield Hardline?